Welcome to 2/90 Sign Systems!Arc System | Welcome to 2/90 Sign Systems! The Arc modular sign system is a simple yet powerful solution for facilities such as schools, universities, and libraries, that require frequent changes. Like all 2/90 Sign Systems products, Arc inserts can be fabricated from almost any one of our numerous insert materials and copy options. They can also accommodate paper for the ultimate end-user flexibility in changing names, titles, departments and messages. Your creativity is limited only by your imagination. Choose Arc when you’re looking to create a clean, three-dimensional look with a curved profile that stands proud of the mounting wall or other surface. Arc System signs accept any document, photograph or graphic image printed on standard paper sizes. 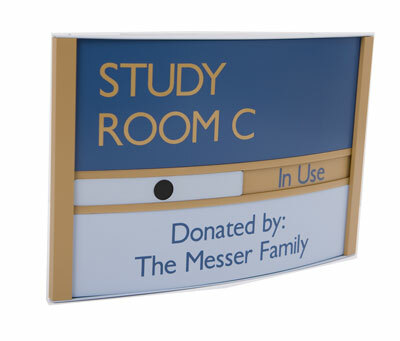 Arc Modular Signs consist of 7 individual sign components allowing for infinite customizability.  Arc Modular Signs are available with either a horizontal or vertical curve. Horizontal Arc signs can be of any height 2” to 92”. Vertical Arc signs can be of any width 2” to 92”. Choose from a variety of add-ons and accessories. 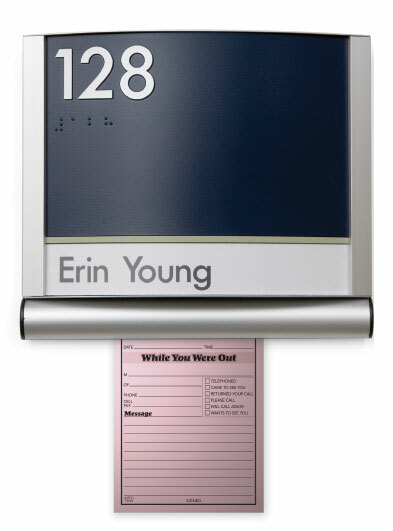 Hold a variety of messages by adding our SmartStrip accessory to your signs. SmartStrip is available as an accessory to any of our signs or can be purchased separately. 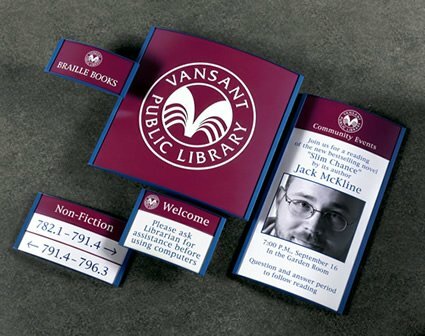 When purchased separately, they can be installed next to a sign or used alone to hold messages or postings. 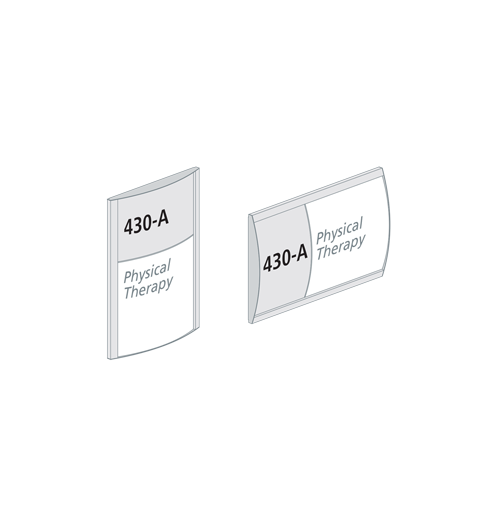 Easily update information with your own printed paper inserts. Arc modular signs accept any document, photograph or graphic image printed on standard paper sizes. Die-cut perforated paper is available from 2/90 Sign Systems in a variety of sizes, colors and textures. Remove the clear, non-glare lens using the provided suction tool. 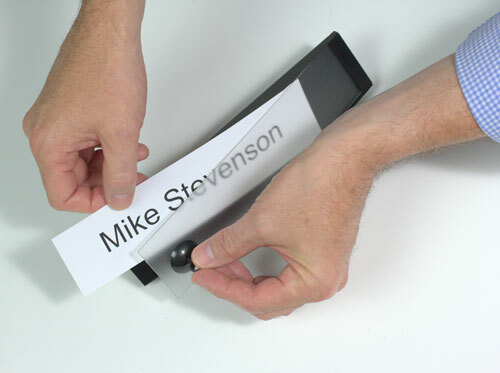 Then simply insert the paper and replace the protective, tamper-resistant lens. Display different messages, revealing or concealing them when needed. Any sign with an insert ranging from 1” to 4” high can accommodate a SmartInsert accessory. Looking for Arc System support, specifications and resources? Whether you’re in healthcare, education, retail, public housing, parking, transportation or more, Essentials is an “Anxiety Remover” only 2/90 Sign Systems can offer. With Essentials you simply choose your style: Arc, Slide or Klik, and then your 2/90 Sign Systems expert will create an Essentials program-package that covers all the basses – the signs you want, and most importantly, the signs you need. We can even help install and maintain them for you. When you choose Essentials by 2/90 Sign Systems, we remove any and all concerns about getting it right – the 1st time.